BMW 24 Hours Nürburgring squad decided. Strong mix of BMW DTM stars and GT specialists in the legendary “Green Hell”. Well-known BMW newcomers such as Timo Scheider and Marc Basseng drive the BMW M6 GT3. Schnitzer, Schubert and ROWE Racing spearhead BMW M6 GT3 assault. Munich. In just over 100 days the “Green Hell” hosts one of the highlights of international GT racing for the 45th time: The 24-hour race at the legendary Nürburgring-Nordschleife (GER) will be held on 27th and 28th May. The squad of BMW drivers for the classic in the Eifel region has been decided. The BMW M6 GT3 teams will compete with a fast and experienced mix of DTM stars, GT specialists and well-known BMW newcomers. In addition to the reigning champion Marco Wittmann (GER), DTM drivers Bruno Spengler (CAN), Maxime Martin (BEL), Augusto Farfus (BRA) and Tom Blomqvist (GBR) will also take on the “Green Hell” challenge. 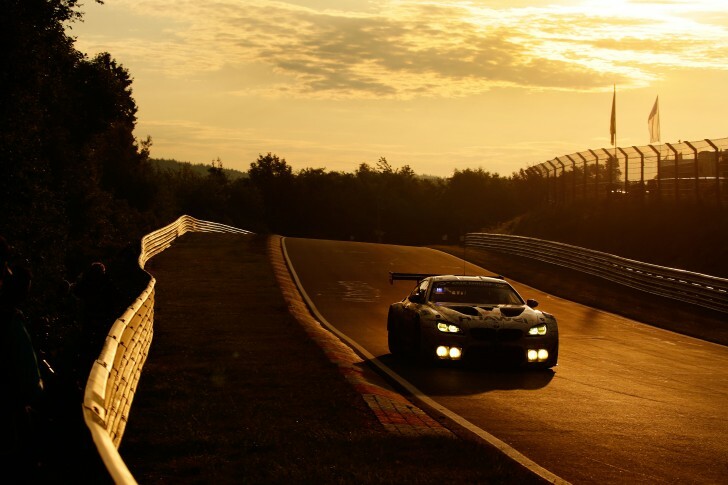 Wittmann, Martin, Blomqvist and Farfus, who was part of the winning team in the BMW M3 GT2 in 2010, have competed at the Nordschleife successfully before, while Spengler will make his debut at this 24-hour race on the last weekend in May. Drivers from the BMW Motorsport works programme in the IMSA WeatherTech SportsCar Championship will also be at the Nürburgring. At the wheel of a BMW M6 GT3, Martin Tomczyk (GER), Alexander Sims (GBR) and John Edwards (USA), who all represented BMW at the Daytona 24 Hours in January, will pit their skills against their rivals. The same goes for Kuno Wittmer (CAN) and Nick Catsburg (NDL), who flew the flag for BMW in November at the wheel of the BMW M6 GT3 in the FIA GT World Cup in Macau (CHN). Richard Westbrook (GBR) and Markus Palttala (FIN) will re-join the BMW squad for the 24 Hours Nürburgring. BMW works driver António Félix da Costa (PRT), who contests the FIA Formula E Championship for the MS Amlin Andretti team, will compete in a 24-hour marathon for BMW for the first time. Jörg Müller (GER, winner in 2004 and 2010), Philipp Eng (winner of the 2016 Spa-Francorchamps 24 Hours), Jens Klingmann (GER) and Jesse Krohn (FIN), return to the Nordschleife with a lot of experience of this amazing track under their belts. As well as many well-known faces, numerous BMW newcomers also make up the squad for the legendary race in the Eifel mountains. Two-time DTM Champion Timo Scheider (GER) will compete in BMW colours for the first time in the “Green Hell”. He made it onto the list of winners of the 24-hour race in 2003. Other new faces are Tom Onslow-Cole (GBR) and Marc Basseng (GER), who, with 26 wins in the VLN Endurance Championship and overall victory at the 24-hour race in 2012 behind him, takes a seat in the BMW M6 GT3. Alex Lynn (GBR) will also make his maiden 24-hour race appearance with BMW. In 2014 he drove the BMW M4 DTM car in the Young Driver Test. As in 2016, the Schubert Motorsport and ROWE Racing teams will each field two BMW M6 GT3s. BMW Team Schnitzer, a team that has won this event five times, strengthens the already powerful squad even further. The teams will experience their first race action at the Nordschleife this year on 25th March, when the VLN Endurance Championship season gets underway.